I limit the number of trips to the store and minimize the amount of wasted food. By following these two principles, I save a lot of money. Let’s start by talking about the first half of that sentence, “Limit the number of trips to the store…” As most people know, it is nearly impossible to enter a grocery store and leave with ONLY the items on your list. If you are going to the store once a week, how many impulse buys does a trip to the store cost you? How many things do you buy that you don’t need? Now you might be thinking “I will send my significant other to the store, they will have better luck avoiding impulse buys.” Well…I did try that. My husband was worse than me! He always came back with several tubs of ice cream and boxes of cereal, among other things that weren’t on the list. After a few repeats of that shopping trip, I decided I would resume responsibility of all grocery shopping trips. Limiting my grocery store trips saves me money by more than just decreasing my impulse buys. Since I only go to the store 4 times a year to stock my freezer, that means when I go to the store I buy most items in fairly large quantities. Because of this, it’s more important than ever to find the lowest possible prices for everything I buy. At this point, I think its important to note that I do not use coupons. Maybe it’s just me, but from my experience, gathering coupons can take a lot of time. Based on the time I’ve tried putting into it, coupons don’t save me enough to pay minimum wage. A few years ago, after I made my grocery list, I would compare the sale prices in ads from 4 nearby grocery stores (for me it was Schnuck’s, Dierberg’s, Shop’N Save, and Aldi) with the prices from Sam’s Club and Walmart (all of Sam’s Club and Walmart’s prices are listed on their website). I would then shop at each of the stores on my list, so I could get the best prices. Any items that were not on sale I purchased at Walmart and Sam’s Club, because I found that they consistently had the lowest everyday prices. This past year, I have not had the time or energy to shop at 5 stores, so I have limited my shopping to Sam’s Club, Walmart, and Aldi. (Recently I had an epiphany and found out about the Savings Catcher on the Walmart app. After years of being a price conscious shopper, I’ve found that these 3 stores have great everyday prices, sometimes better than other stores sale prices on the exact same item. Just give to you some perspective of how much money I save, on Coupons.com it cites that the average price of boneless skinless chicken breasts in the United States are $3.18 per pound (I consistently find higher prices than this at my nearby stores), but at Sam’s Club and Walmart the everyday price for the same chicken breasts in 5-8 lb packages is $1.98 a pound. That’s a savings of nearly 40%, by simply buying my chicken breasts in bulk at Walmart or Sam’s Club. Another example of saving money by shopping the everyday low prices of Walmart or Sam’s Club is eggs. On coupons.com, it cites that the average price of eggs in the United States are $1.77 a dozen. At Sam’s Club, I buy 7.5 dozen eggs for $6.62, a savings of 50%. You might be asking yourself, what am I going to do with 7.5 dozen eggs? We will get there soon, but the short answer is your going to cook a majority of them and put them in your freezer! One last example of comparing prices is pop. My husband drinks 2-4 cans a day, which means we go through it quickly at our house! Although I was unable to find the national average price for a 12 pack of pop, most stores everyday price is at least $4.50 for Pepsi or Coke Products. Because we go through so much pop at our house, I only buy it when it is on sale for $3.00 for a 12 pack (or $6.00 for a 24 pack). Just think about the three examples I’ve cited: chicken breasts, eggs, and pop. The average price for these at a grocery store is between 30-50% higher than the lowest prices I could find (without coupons). As a young family on a tight budget, those savings add up over the course of a year. Additionally, recently, I found a way to completely avoid impulse buys. Some Sam’s Clubs and Walmarts have started offering free Club Pickup or Online Grocery Pickup. (I’ve only used the Sam’s Club Club Pickup because the Walmart’s I normally shop at don’t offer this service.) These services are extremely useful to busy moms. You order all your groceries online and schedule a 1 hour window the next day when you would like to pick them up. I’ve even had employees help me load them into my car. Besides saving time, this method completely eliminates impulse buys and ultimately, you guessed it, saves money! Now let’s spend some time talking about the second half of the sentence mentioned: “minimize the amount of wasted food.” When you are grocery shopping for a week or two at a time, you make a tentative menu, go to the store and buy the items. But let’s imagine you put chicken noodle soup on the menu for the week and your recipe calls for 2 carrots, 1/2 onion and 3 stalks of celery. What happens to the remaining carrots, other 1/2 onion, and remaining stalks of celery? From my experience in the past, they remained in my refrigerator until I found them 3 weeks later… rotten. They go directly into my trashcan at this point – wasted. And wasted food = wasted money. Using the method I have developed for preparing freezer meals, I have learned how to store the remaining carrots, onions, and celery so that they can be used for the next batch of soup. The other way I waste less food is in packaging our freezer meals so they contain only 1-2 servings, thus preventing us from eating the same meal all week. In our house, after eating the same meal for 3 days, everyone loses interest. The leftovers then sit in the fridge until its cleaned out a couple weeks later, yet another way we used to waste food in our house on a weekly basis. One last piece of advice before I divulge all my secrets, is to tell you it gets easier the more you do this! 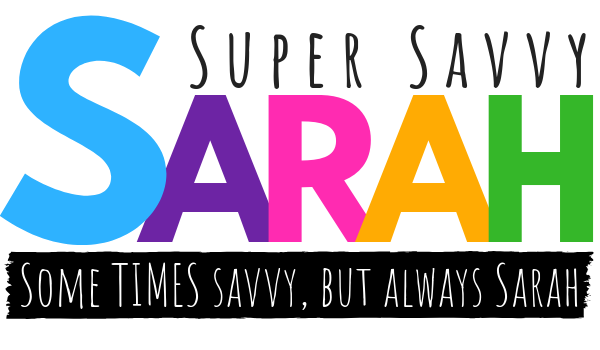 As a side note, I’m currently working on putting together a “super savvy” freezer meal prepping method that will only require you to prep food for 1-2 hours every 2 weeks. Be sure to subscribe to my email list if you want to hear when it’s released! At first freezer meals may seem overwhelming, but I would suggest starting by prepping 1 weeks worth of meals, then 2 weeks, and so on. I promise once you find meals your family loves and a routine that works for you, it’s much easier to put together menu’s that work and use the ingredients already stocked in your kitchen. Now go out there and rock your busy mom life! Did you enjoy this article? Click here to pin it for later! Here are links to the other posts in this series! Stock Your Freezer the Easy Way! Hi Laurie – thanks for commenting! Freezer meals seriously make my world go round! The reason you started prepping with freezer meals is exactly the same reason I want to. I waste so much food and money every month it’s ridiculous.